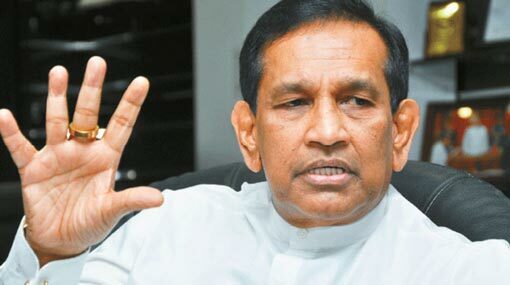 A control price will be introduced for twenty-seven more drugs says Minister of Health, Nutrition & Indigenous Medicine Rajitha Senaratne. This will be implemented as the third phase of reducing the prices of medicine, he stated. The Minister stated this at the opening ceremony of the 42nd Rajya Osusala outlet of State Pharmaceuticals Corporation (SPC) in Matale, yesterday (25). Speaking at the event, Senaratne said that he has issued orders to halt SPC from buying a drug prescribed for breast cancer from a multinational company. According to him, the multinational company sold the said vaccine at a high price of Rs 550,000. “I inquired the Chairman of the National Medicines Regulatory Authority on this. It was revealed that the vaccine had originally been priced at Rs 285,000 and after a slight change of the drug, the company had rebranded it and marketed it at a higher price. Although it has only been days since the drug was released, the doctors in Sri Lanka prescribe this to cancer patients. This has received the support of the Government Medical Officers’ Association (GMOA) as well. I have proof of this. The company pays them to criticize us,” said Senaratne. “When I halted the purchase of this vaccine, the company took legal action against the measure. Even oncologists spoke against me. However, we won the case and the courts warned the oncologists”, he added. The Health Minister says that he will issue an order to prescribe medicine by the name of the drug instead of the brand name. He further said that he pushed the limit of the maximum price which can be tendered for medicine down to Rs 95,000. Senaratne also says that he increased the limit of Rs 1.5 million on one cancer patient spent by the government. According to him, today, one cancer patient has received services worth Rs 45 million.